Ever since the creation of Utopia by Cyclops, the few mutants of the world had looked toward the X-Men and their island nation for leadership. All of the came to a head during the X-Men: Schism miniseries, published in mid to late 2011. When the threat of a new Hellfire Club, run by genius adolescents, threatened a nearly abandoned Utopia, Cyclops thought it was the duty of the young mutants to help defend their home. Wolverine disagreed and the two literally came to blows, even as the threat loomed before them. When the crisis passed, Wolverine decided that Cyclops’ philosophy of putting children into danger was wrong and left Utopia. Those that followed helped form the new Jean Grey School for Higher Learning, built on the ruins of the old Xavier school in Westchester, NY. The core events occurring within the school were depicted in the new Wolverine and the X-Men series, begun in December 2011. A whole range of new mutant students were introduced, as well as unorthodox exchange students, like the benevolent Brood called Broo and Kid Gladiator. The staff of the school was comprised of senior X-Men, such as Iceman, Kitty Pryde, Beast, Rachel Grey and Husk. During the course of the series, Wolverine shared his headmaster duties with Storm, who had recently returned to the X-Men following the annulment of her marriage to the Black Panther. A spark emerged between Wolverine and Storm, leading to a relationship between the old teammates. Wolverine and the X-Men was noted as being much more lighthearted than the other X-titles, injecting humor from the students and juxtaposing Wolverine’s job as a headmaster of students, rather than his dark and bloody side, as seen in other titles. Likewise, Quentin Quire’s previous status as a rebel at best and a villain at worst led to exploration of the tempering of his character. Some of this was seen in the offshoot miniseries, Wolverine and the X-Men: Alpha and Omega. The series would run for 42 issues, participating in several crossovers. When the series ended in April 2014, it was relaunched the next month with a new #1 to depict a new creative team. 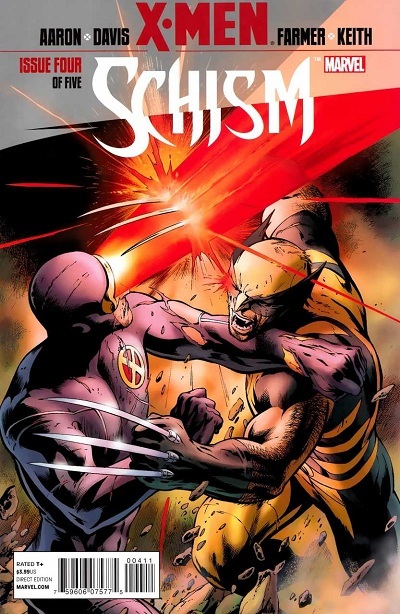 The student-centric title of Wolverine and the X-Men was not the only series to focus on the Wolverine-side of the X-Men Schism. The Rogue-centric X-Men Legacy (1st series) and the still-ongoing Astonishing X-Men (3rd series) continued to be published, depicting full-fledged X-Men teams based out of the Jean Grey School. While those who followed Wolverine’s way departed for Westchester, those who agreed with Cyclops stayed on Utopia. To mark the transition of the massive change from pre-Schism, Marvel decided that a new #1 was in order. As such, the original Uncanny X-Men series which began in 1963 ended with #544 in December 2011. 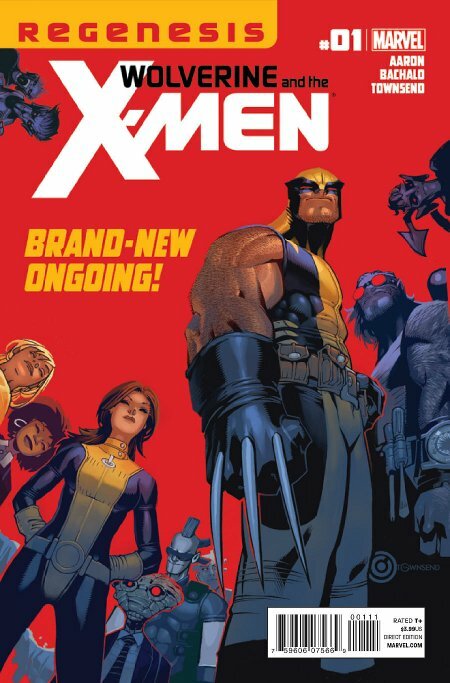 The next month, Uncanny X-Men (2nd series) #1 began in January 2012. Notably, around this time, Marvel began to enact an accelerated publication of issues of a successful title. As such, though this series lasted only 11 months, 20 issues were published between January and December of 2012. Unlike the Wolverine and the X-Men title, there was not an overall theme or purpose behind the title. It was simply Cyclops and his "Extinction Team" facing arising threats to the mutants of the world. However, the Utopian X-Men’s greatest challenge eventually arose during the events of the Avengers vs. X-Men crossover, beginning in May 2012. The conflict between the X-Men and the Avengers began when the Avengers were warned by a member of the Nova Corps that the Phoenix was returning to Earth. Surmising that it was coming for Hope Summers, who had remained on Utopia with Cyclops’ group, Wolverine convinced the Avengers to travel to the island nation in force and take the young woman into custody. Though Captain America politely asked Cyclops to comply, the SHIELD helicarrier filled by every available Avenger was undeniably meant to be a threat. Undeterred, Cyclops refused and the Avengers attacked. Though Hope escaped arrest, the tide did not turn for the X-Men until a device built by Iron Man to contain the approaching Phoenix Force had an unintended side effect. Instead of entering Hope alone, the Phoenix Force split into five equal parts, entering Cyclops, Emma Frost, Colossus, Magik and Namor. In the two weeks that followed, the “Phoenix Five” used their godlike powers to reshape the world, providing unlimited, clean energy for free, turning desert into farmland and ending all armed conflicts across the planet. Despite their altruism, the remaining Avengers distrusted any with such power and worked against them. Ultimately, four of the five were depowered, with Cyclops being the last to retain all of the power within him. As the Avengers feared, Cyclops eventually lost control and became Dark Phoenix. With the help of Hope, the Phoenix Force was removed and apparently extinguished forever. However, the conflict was not without its victims and Professor X was killed by Cyclops while under the control of the Dark Phoenix. Following the conflict, Cyclops was arrested. Most of the storyline was covered in the 12 issues of the primary Avengers vs. X-Men miniseries, which ran from May 2012 to December 2012. However, almost all Avengers or X-titles during this time had at least some issues which crossed over in the event. Likewise, there was a 6 issue AVX: VS miniseries which showed the in-depth battles between individual X-Men and Avengers which had only been hinted at during the main miniseries. Following the crossover, there were several “What Ifs…?” and a follow-up A+X series showing reconciliation between the two teams of heroes with missions in which members of each team would team-up. This series ran for 18 issues between October 2012 & March 2013. Not to be overlooked, there was an A-Babies vs. X-Babies oneshot in late 2012. 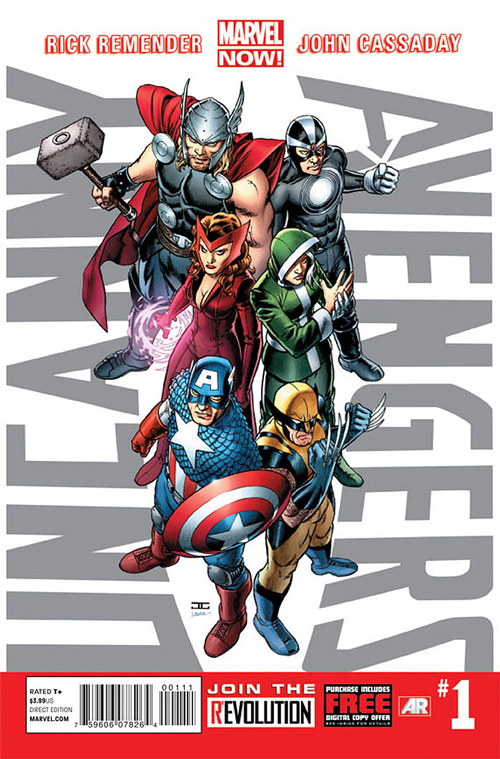 In addition to these limited series, a new, ongoing Uncanny Avengers series, the first of its name, began in December 2012. The premise of this series was that the Avengers realized that they had not done enough to assist mutants in their plight of coexistence with humans. As such, Captain America mandated the creation of a “Unity Squad,” comprised of both X-Men and Avengers, as to show the world that it could be done. However, neither Captain America nor the new Unity Squad teammates were prepared when the Red Skull arose to stoke anti-mutant sentiments using telepathy he had acquired through the lobotomized brain of Professor Xavier’s corpse. Plagued by both the Red Skull and the Apocalypse Twins, the children of Archangel while under the influence of Apocalypse’s programming, the Unity Squad barely survived against their enemies. The series ended with #25 in December 2014, which led directly into the Avengers & X-Men: AXIS miniseries & crossover. Central through the Avengers vs. X-Men event was Wolverine, who had already been part of a philosophical schism with Cyclops but now vehemently opposed his former teammate’s attempts to force the world into becoming a better place against its will. Simultaneous to this, Wolverine also appeared in the Uncanny X-Force (1st series) title, in which he led a black ops X-Force team, dedicated to the lethal elimination of any threat Wolverine deemed necessary. The first threat this new X-Force faced was a new set of Horsemen, which had attempted to clone Apocalypse, who had died some years before. Though he had no compunction of eliminating the threat of the young Apocalypse, Fantomex embarked on a personal experiment in which he cloned Apocalypse again and attempted to raise the youth in the World, a place in which time moved at an accelerated pace. Fantomex named the youth Evan and, when he was eventually discovered by the rest of X-Force, the youth was enrolled in Wolverine’s Jean Grey School, where they attempted to settle the nature vs. nurture argument by raising young Evan with kindness. This X-Force series lasted for 35 issues, from December 2010 to February 2013. During this time, aspects of Apocalypse’s legacy were explored. Aside from the question of the cloned Evan, Angel lost his fight with his Horseman programming and again became Death, the heir of Apocalypse. A Death Seed was used to create the Tabula Rasa biosphere in Montana and X-Force journeyed to the Age of Apocalypse reality for assistance. The last storyline of the series answered the question of Evan’s nature when Daken, revealed to be alive after all, teamed up with Sabretooth and a few others to corrupt the youth into becoming Apocalypse. Ultimately, Evan chose the side of Wolverine, who was forced to kill his own son to end his threat. Following the visit by X-Force to that reality, a new, ongoing Age of Apocalypse series was launched in March 2012, which depicted the aftermath of X-Force’s visit. Now known as the 1st series, due to a miniseries of the same name published in 2015, this Age of Apocalypse series lasted for 14 issues until June 2013. Its conclusion in June 2013 actually coincided with the conclusion of another short-lived series, X-Treme X-Men (2nd series). Bearing no relation to the first series of the same name, this title followed a trans-dimensional team of mutants traveling from reality to reality on a single mission: to kill ten “evil” Charles Xaviers. With the exception of Dazzler (and later Sage), all of the members were from alternate realities to the prime, 616 universe. At the conclusion of their primary mission, the X-Treme X-Men title ended in the X-Termination crossover, which crossed over with a 2-issue miniseries of the same name, the last issue of Age of Apocalypse (1st series) and two issues of Astonishing X-Men (3rd series). 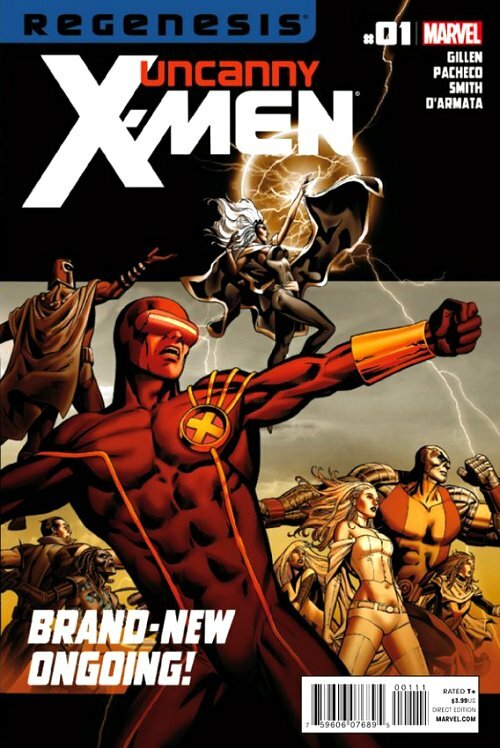 Of the three series, Astonishing X-Men was the only title to survive the crossover, but was nonetheless canceled 7 issues and six months later with #68 in December 2013. This ended the series which began in July 2004 and had been created specifically for Joss Whedon. Also ending in late 2013 was Gambit’s 5th solo series, which had run for 17 issues from October 2012 to November 2013. More successful in his new ongoing was Deadpool. When his 3rd series ended with #64 in December 2012, Deadpool received a new #1 the following month in January 2013. It ran for another 45 issues until June 2015, canceled during the Secret Wars event. Though X-Men Legacy (1st series) had ended with #275 in December 2012, it did not stay canceled long. X-Men Legacy (2nd series) #1 launched the following month in January 2013 and starred Legion. Now in near full control of his personality and powers, Legion attempted to make the world a better place in his own way. Despite his best efforts and help from his new love interest Blindfold, Legion was unsuccessful, as was his series. This 2nd X-Men Legacy ended with #24 in May 2014. Early 2013 saw the publication on not one, but two X-Force series. The first Uncanny X-Force series had ended with #35 in February 2013. That same month, Cable and X-Force was launched, starring the very much living Cable, who had been revealed alive in the 2012, 4-issue miniseries Avengers: X-Sanction. This series started in medias res, in which the characters were dealing with the aftermath of a mission gone sideways. The nature of the mission and what went wrong were a mystery at first, only to be explained to the readers as the story progressed. The series saw the reunion of Cable with his adoptive daughter, Hope. A month after Cable and X-Force #1, the second series of Uncanny X-Force began. A large portion of the series dealt with Bishop returning to the present and the ramifications of his actions during his unsuccessful hunt for Cable and Hope through Cable (2nd series). This series is notable in that almost the entire 17 issue run arguably took place over the course of but a few days. The series also bore no connection to the Cable and X-Force series, with the exception of the Vendetta crossover which ended both series in March 2014. Cable and X-Force ran for 19 issues, while Uncanny X-Force (2nd series) ran for 17 issues. The month after both series ended, X-Force (4th series) #1 was published. It ran for 15 issues, ending in April 2015 as a result of the upcoming Secret Wars crossover.